2020 Nissan Sunny – next-generation Versa revealed: India bound? There are some things you just cannot hide. Take this motorcycle for instance. 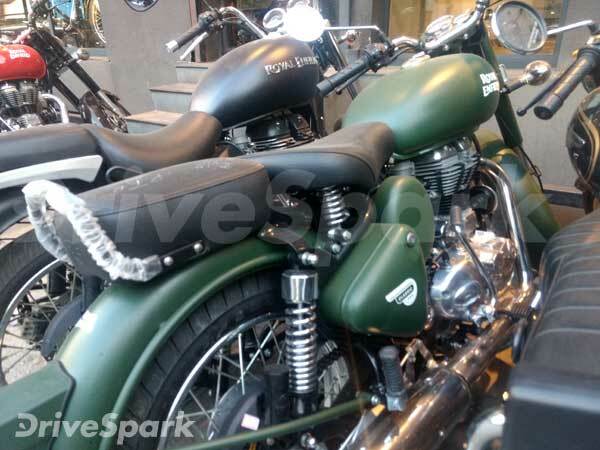 If you’re a Bullet buff, you know what you’re looking at; a Battle Green coloured Royal Enfield Classic 500 which is restricted for International markets. 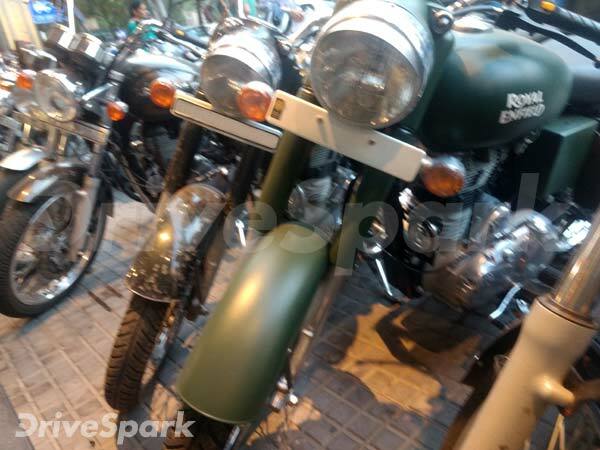 Battle Green-coloured Royal Enfield Classic 500 snapped at a Bangalore outlet. 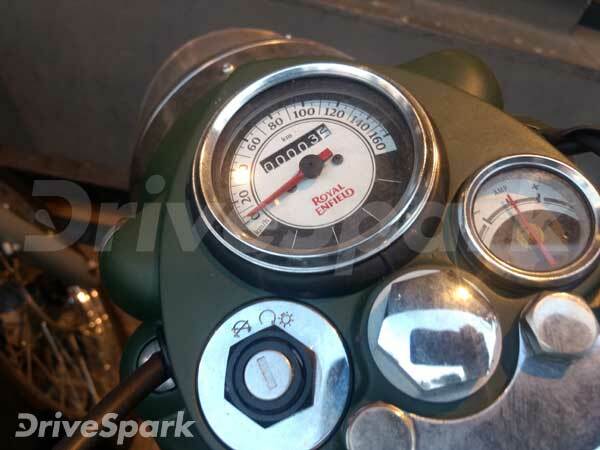 This specific colour is not sold in India, due to the limitations in Indian Motor Vehicles Act that disallows Military Green colour for civilians or non-military vehicles. 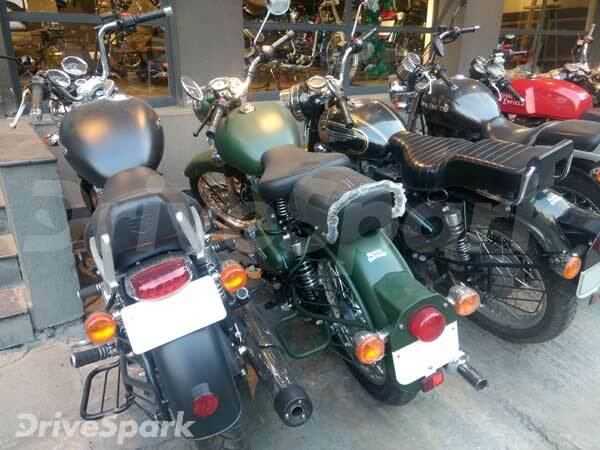 However, a single unit of the Classic 500 Battle Green was spotted at a dealership in Bangalore, which is most likely to be a dealer-level modification because Royal Enfield clearly mentions that the Battle Green colour motorcycle is not on-sale in India. 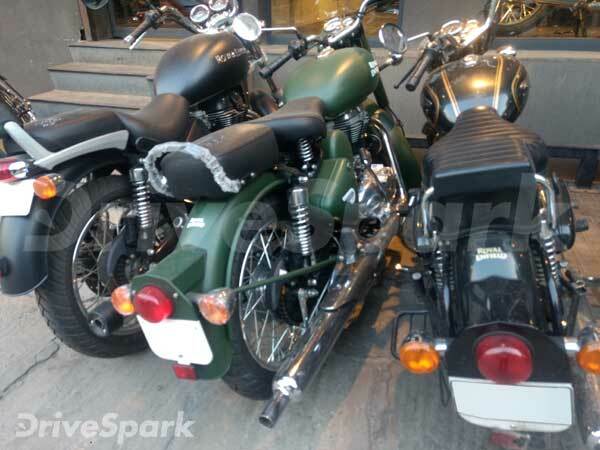 And its highly-impossible that the export-spec Battle Green coloured Classic 500 were mistakenly loaded into a trailer which was meant to be distributed among dealers in India, like the case of white-coloured KTM 390 Duke as the international-model gets black-coloured side fuel-tank padding, and also the spoke wheels are painted in the green shade as that of the other body panels. 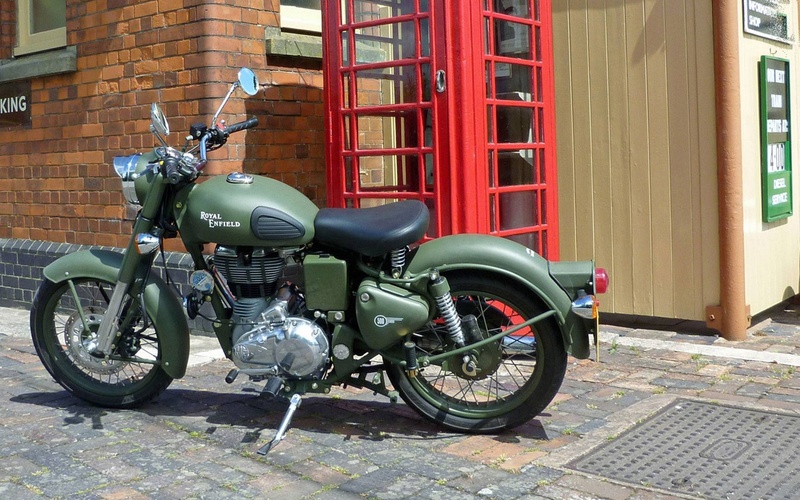 Picture of export-spec 2017 Royal Enfield Classic Battle Green has been used for representation purpose. The Classic 500 Battle Green comes to you with a paint scheme reminiscent of the War era, a time when Royal Enfield motorcycles proved their capabilitities and battle worthiness by impeccable service to soldiers. Overall, the motorcycle retains the classic stance of the original Bullet, which makes it a much more special and timeless motorcycle, even after being modern by every angle of perception. Checkout more pictures, after a jump.